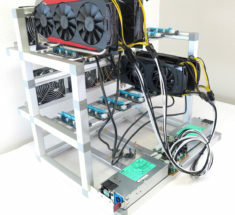 REV3 COOLED - Aluminium 12.1 GPU Open Air Mining Case W/ 12 USB Risers + (2) 1200w PSU KIt - ETH, ZEC. 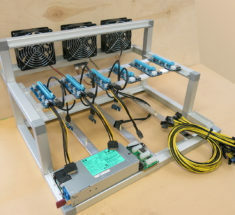 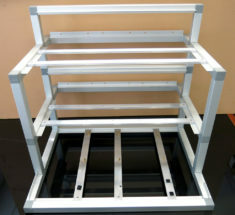 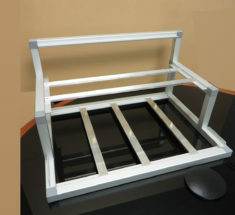 Pre assembled in our shop with a genuine 80+ Platinum 94% efficiency 1200 Watt Power Supply Kit. 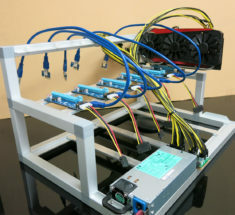 The power supply is intend to independently power up to 12 GPU. 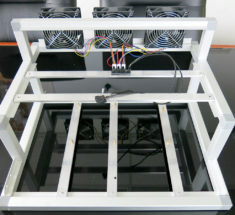 Include 180watt ATX module to power the Motherboard.